To go along with my steampunk speakers, I have now put up my Instructables tutorial for putting together a nice little steampunk audio amplifier. This is the amplifier which I have mounted on the hutch over my desk, through which I play all music an audio from my PC. This is a bit more involved that the steampunk speakers, but if you feel up to the challenge, feel free to give it go! Sandy and I hosted your parents here for a LOT OF FUN for two days! They are a hoot! 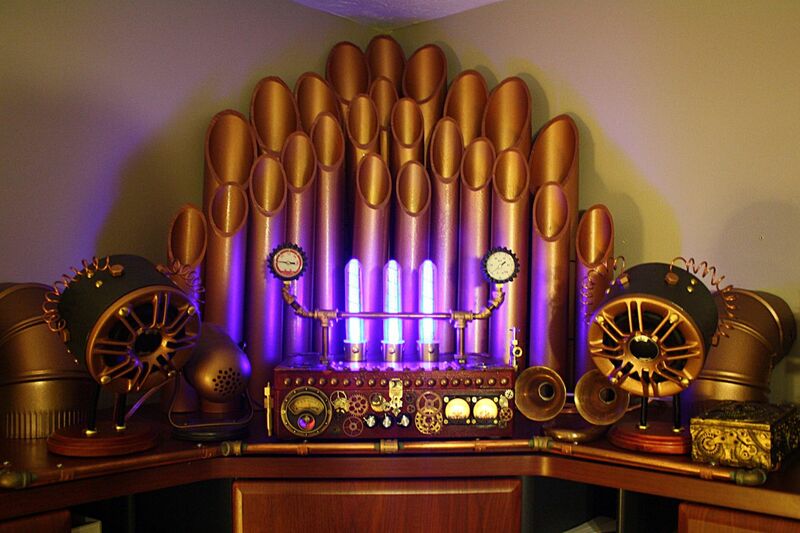 Love the Steam Punk amplifier indeed. Will look into making one if it is not patented… Keep up the creative stuff. I love it!